What’s the point of education? Can creativity survive in the climate of fear and coercion that’s emerging in our schools? Credit: Shutterstock/arka38. All rights reserved. There are moments when, far from home, I long for the company of my own kind. Sometimes a simple grave will do. It was quite by chance that I discovered the renowned writer, radical educator and fellow Scot A.S. Neill had died in the Suffolk coastal village of Aldeburgh—less than an hour's drive from where I had recently relocated—so early one day I set out to find him. After several hours of searching local cemeteries I gave up and retreated to Aldeburgh’s shingle beach. Neill spent over half his life in this part of Suffolk, and many times he would have looked out from where I was sitting. Neill encouraged everyone to see education as an opportunity to grow in freedom, yet the influence of his philosophy on mainstream schooling was marginal. Those who tried to put his ideas of democracy and creativity into practice in the state sector such as Michael Duane, headmaster at Risinghill school in Islington in London, were failed by school inspectors and fired by governors. Yet Neill's ideas persist, and they allow us to reimagine the transformative potential of education and the crucial part it plays in psychological development. After a decade or so of teaching psychology at various institutions of higher education in the UK, I started to get the hang of it, not just academically but by bringing elements of all my previous experiences into the classroom: working with offenders and with victims; people with mental health problems, brain injuries, learning difficulties and drug and alcohol problems; those who had had broken their backs at work or through unemployment; people who had nothing, knew no one and, through their isolation, feared everyone; and those who quite simply had never been loved enough. But I never understood my subject area quite so well as when I began to teach it. That might be true of all subjects of course, not just psychology, but what is teaching anyway? Beyond the bare bones, maybe it’s enough to foster curiosity and trigger the intrinsic motivation that people have to explore their worlds. Certainly Neill thought so. Curiosity and creativity in all things are the greatest gifts of education, he believed. They last a lifetime, you can't ever fail, and they can't be taken away from you. It involves the sort of mental state that’s reached when producing a work of art, or of recovering the past layer by layer, or shaping the future. Such states are not achieved by conscious pursuit but as the consequence of other activities. In similar vein Neill posited the centrality of happiness from being immersed in one's interest, and he believed that a democratic educational context was fundamental to the realisation of this principle. Sadly, most educational institutions today are based on the opposite principles of fear and coercion. Unless defined by reference to targets, retention and outcomes, there is little chance that happiness will be part of any discussion about schools and universities. Teaching staff are more likely to be briefed on unhappiness, with concern mounting over increased levels of anxiety among all age groups, and the list of 'at risk' students growing—including those who have attempted suicide over exams and pressures to achieve. According to reports published in the UK in 2013, stress at school was found to be the core cause of depression, worrying and low self-esteem among young people. Depression and anxiety were also cited as a key concern in the US, affecting up to 20 per cent of children—a figure that is rising each year according to a report from the Centers for Disease Control and Prevention. Within the exigencies of today's intensely pressured learning environments, the worth of the individual is typically viewed from the standpoint of economic calculus and gauged within the language of rational accounting procedures. The advancement of students, defined as 'customers', is routinely measured using terms and instruments such as ‘value added,’ baseline indicators, audit trails and quality management. Pedagogical habits are increasingly reduced to predictions borne of performance criteria so that someone’s progress report reads more like a company’s chart of annual sales. Neill spoke eloquently on behalf of those who felt constrained, if not crushed, by the rigidities of the education system, and he did so in part because he understood failure on a personal level. His own journey towards the concept of personal freedom in education was fraught with troubles, since he had performed poorly at school, and had left early to find work. But he was driven back by homesickness, and on his return he entered a variety of unsatisfying occupations. Eventually he returned to education, but it was only after many false starts (and poor grades) that he became a teacher. Commencing at Bonnyrigg in Scotland, he continued at the Neue Schule in Dresden where he learned about the international free school movement, and then went on to Suffolk where the Summerhill School was founded and his alternative educational philosophy began to flourish. In his book “A Dominie's Log”—a teaching diary published in 1915—Neill reflected on his experience within the confines of oppressive schooling, and he began to develop a radical alternative: the most important form of learning for influencing behaviour is self-discovered and self-appropriated. He continued to elaborate these ideas over the course of 20 other books which culminated in the widely-acclaimed “Summerhill School: a radical approach to child rearing," which was published in 1960 with an introduction by Erich Fromm. The book became a number one nonfiction bestseller in the USA and gave new impetus to the development of democratic schools across the world. Human potential, Neill maintained, is naturally unlimited, and human development is dependent on the social environment rather than on material incentives—a position that allied him with philosophers like Godwin, Voltaire and Rousseau. He emphasised the development of the intellect, but above all the necessity for emotional education, and to this end he maintained that children should not be compelled or pressured to learn or to meet pre-determined educational standards. All learning, he argued, is driven by intrinsic interest: a level of motivation that hinges on kindness, encouragement and love. The chance to grow in freedom was considered by Neill to be of fundamental importance to humanity. Consequently—and controversially—he maintained that children must not be compelled to attend classes, and that discipline and rule-making should emerge through student self-governance. It should be said that Neill had a charismatic personality, and in many ways his method of student engagement was close to that of a psychotherapist. Moreover, while many Summerhill students went on to become professionals and academics, the educational context he provided was especially conducive to the creative arts. Some therefore questioned whether it would be possible for his unique style to be replicated, while others suggested that Neill's energy levels and his personal commitment could not be matched elsewhere, so Summerhill's success would be difficult to generalise. Neill died in Aldeburgh in 1973, far from his native Forfar and close to his ninetieth birthday, but Summerhill school still survives in the nearby village of Leiston—so far untainted by targets, tables and politicians. With an almost pathological zeal for standardization, however, successive governments have tried to shut Summerhill down, but each time they’ve been met by protest campaigns, support from academics, and legal challenges. The most damning inspection report emerged in 2000 when the English school inspection agency Ofsted insisted that Summerhill compel all students to ‘regularly engage in learning,’ and that a framework be put in place for each pupil to aspire towards meeting ‘personal targets.’ A court decision settled the case in favour of Neill’s school, and subsequent visits have failed to alter the focus of his original vision. Further visits are inevitable, however, and with them perhaps the possibility of compromises or even closure. Moments such as these arose several times during Neill's life, but he insisted that closure was not of paramount concern. 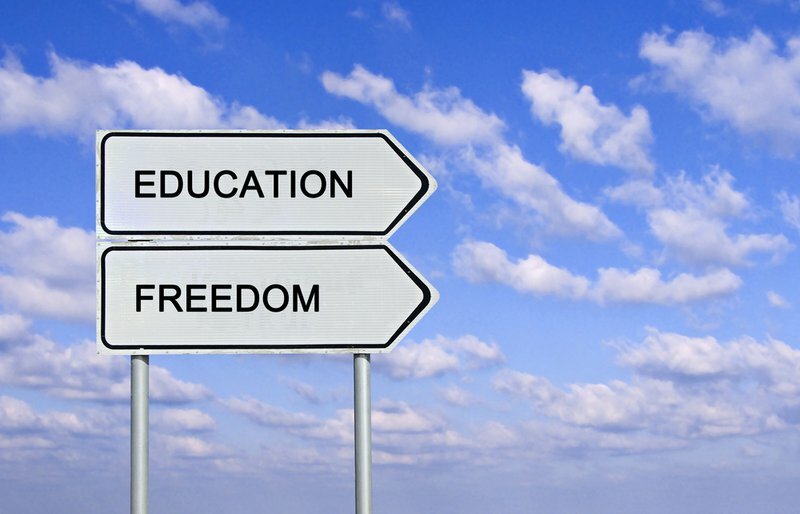 What mattered was not the future of the school, he argued, but the rationale that underlies it: that everyone should have the opportunity to pursue useful knowledge; that the goal of educational institutions should be to encourage independence and self-regulation; and that new generations should be given the chance to grow in freedom through learning.